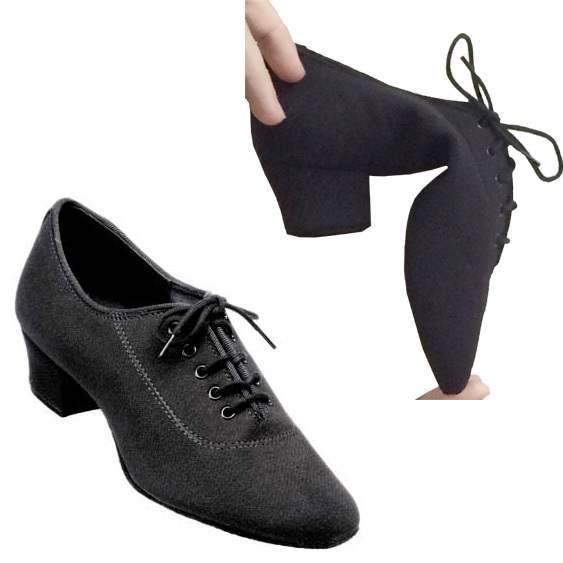 A split sole version of our traditional teaching practice shoe with a 1-1/2″ Heel. It offers comfort with a built in arch, stability and added flexibility and is extremely lightweight. It also offers a gel padding for enhanced support and comfort. The new heel design brings the sole material over the back of heel, offering a smoother drag and greater protection. Additionally, the broader heel offers greater balance. 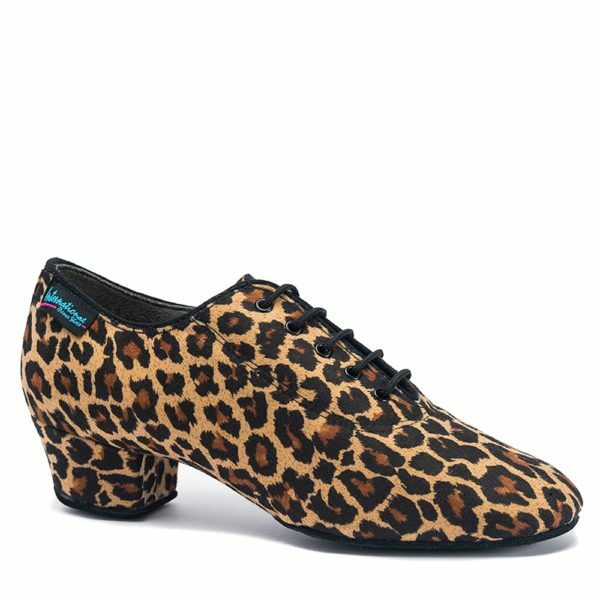 Available in 3 fabrics – Leopard and Black Lycra at $172 and Black Lipstick at $192. NOTE: English to American Sizing is approximate. The information is shown as a guide only and not a guarantee. Actual fitting may vary. 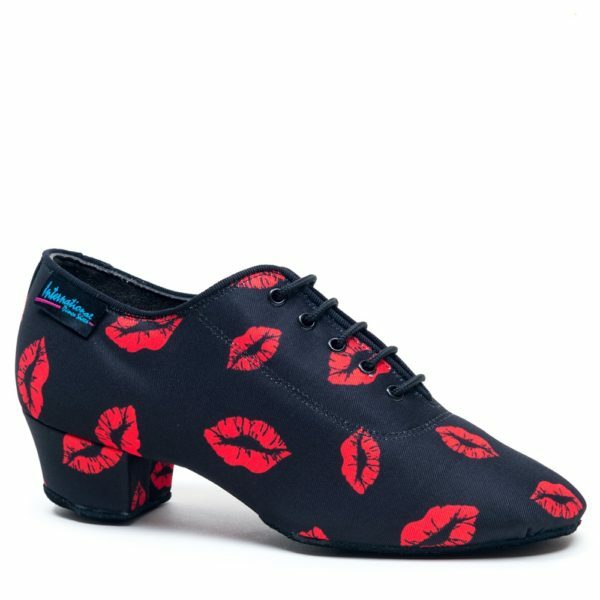 Available in American sizes 4.5 thru 10.5 in a medium width only with a 1.5″ practice heel.